Today, at 2.10pm, the last 366 days accumulated and my age suddenly changed from 32 to 33. Of course, I was expecting this to happen, as one does on a birthday. I decided to mark the occasion by indulging in food and drink, spread over 3 days. I visited a lot of new places and ate a tasty selection of food and supped some amazing drinks. Naturally, I’d like to share them with you. Saturday started off with a drive to the O2 to park, as James was covering the boxing match there later on. The sun was shining which was a stark but welcome contrast to the weather the day before. With a full day of tube travel on our Oyster cards, we decided to start at Covent Garden. We were eating just off Regent Street so didn’t want to go too far. The crowds were a mixture of the usual tourists, plus a lot of German football fans for the match between Dortmund and Bayern Munich later that day. The atmosphere was good and everyone seemed happy. James was baffled, as was I, looking at a street performer who seemed to be floating in mid-air. You can see a video of the exact same man here. We then headed towards Soho, down Old Compton Street and past Ed’s Easy Diner which is a safe stop for a burger and chips, plus massive ice-cream milkshakes perfect for a bit of brain freeze. 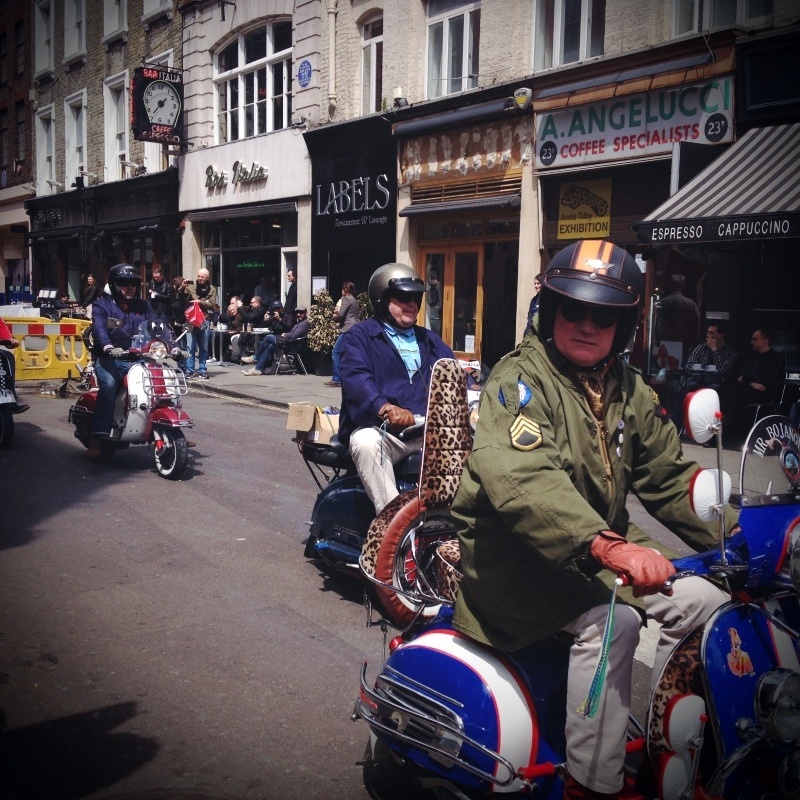 Passing the junction of Frith Street and Old Compton Street, we heard the roaring of engines and smelled the heavy reek of petrol fumes. 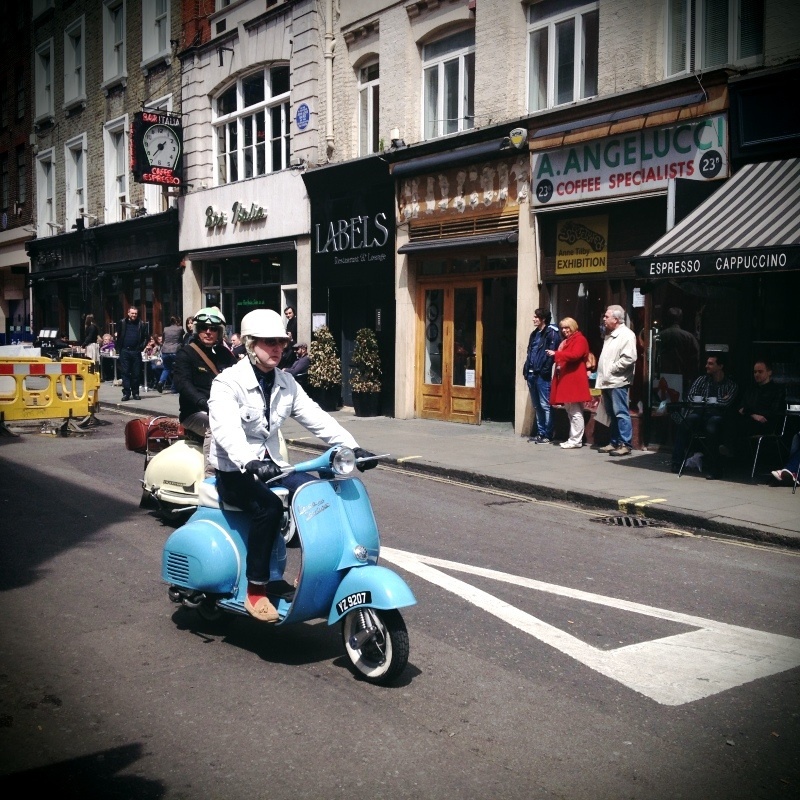 There were many scooters revving up outside Bar Italia, which I know is a Soho institution, but have not yet visited. It turns out there is a Bar Italia scooter club. We stayed to watch them speed off, then continued our journey to the restaurant. 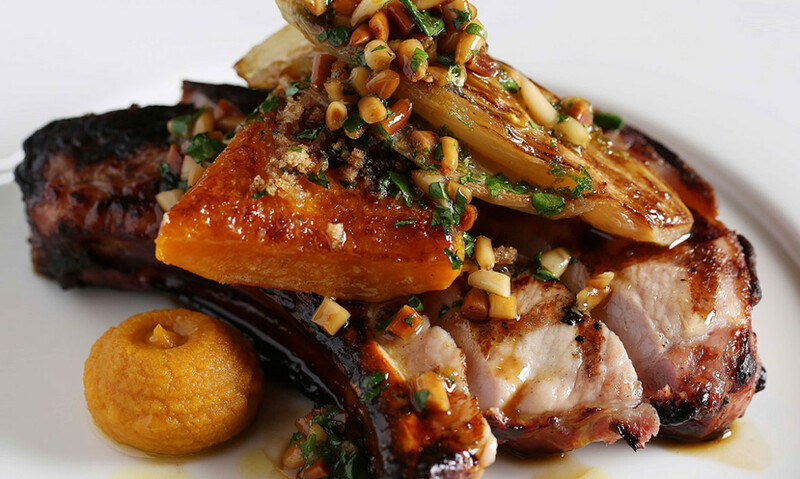 Arriving on Pollen Street, we walked past the restaurant – Little Social – by accident. It’s sister restaurant, Pollen Street Social was opposite and looked quite posh. Here you can see a video of a day in the life of Pollen Street Social. Just watch how well they scrub those kitchens! Both restaurants, plus the Social Eating House are by Jason Atherton, a chef who has worked with Gordon Ramsay and Marco Pierre White. Correcting our route, we entered Little Social through the heavy velvet curtain and found ourselves in a room with a French bistro ambience. We were greeted by a host with a French accent, who patiently waited whilst I tried to remove my jacket without removing all my other layers. I managed this, just about, and we were seated. We were given the a la carte menu, the set lunch menu, the wine list and a cocktail menu. We both decided to eat a la carte, I had a cocktail and James had a beer, served in a pewter tankard. My cocktail was called a Corner Collins, and contained, amongst other things, gin and rhubarb jam. It was tasty and tart. To start, I had beetroot cured sea trout. This was firm and sweet, with a beautiful ruby red colour. It was accompanied with beetroot and a horseradish cream, simple flavours that complemented each other perfectly. Next course was a pork chop with butternut squash puree and endive. The chop was already cut up into chunky slices, and the flesh was perfectly tender with the right amount of fat. I could taste something zesty and citrusy on the endive; I have never had endive before so maybe it normally tastes like this? Either way, I didn’t agree with this flavour on top of the rich pork chop. For me, it was too overpowering. I was surprised at how much meat there was. The starters were the size I’d expect from a restaurant like this (a bit fancy) but the mains seemed to be regular sizes! I was so stuffed after this big course, I had to share a pudding. 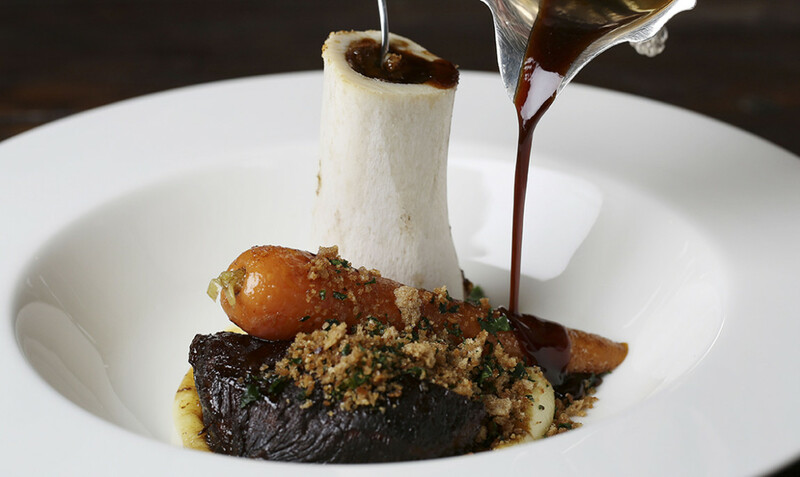 James was the same, with his ox cheek and bone marrow. Watching him pull the bone marrow out of the bone made me feel a bit queasy. It was so gelatinous! I did try it – I couldn’t identify any particular flavour, but I can imagine the texture is part of it’s appeal. 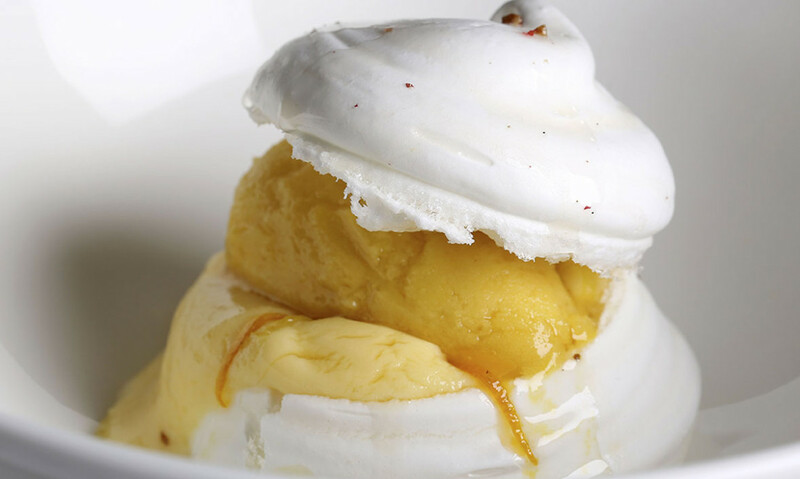 Dessert was a pink peppercorn meringue with lemon and lime curd and passion fruit sorbet. Talk about an explosion of flavours in your mouth! This was particularly refreshing and zingy, perfect after a meat-heavy lunch. The pink peppercorns were really subtle, maybe too much so, and they gave a gentle fragrant heat when I got a hit of them. The curd and the sorbet were delicious. Lemon was the overbearing, with a lack of lime flavour and the sorbet whacked me in the tastebuds in a very delightful way. After settling up, we walked to Hyde Park, enjoyed the sunshine and visited the Diana Memorial Fountain. This is something I really like to look at. The fresh clear water moving in so many different ways is incredibly calming to me. Sometimes it’s slow and lazy, then it becomes frenzied and bubbling. Sadly time was running out. I had to get back home to meet friends for dinner, and James had to get back to the O2. We rushed off and went our separate ways. Pictures of Little Social food from their website. Scooter pictures by me. This entry was posted in Uncategorized and tagged Bar Italia, beer, birthday, bone marrow, cocktails, Covent Garden, Ed's Easy Diner, endive, Hyde Park, Jason Atherton, Little Social, London, O2, ox cheek, oyster card, Pizza Express, Pollen Street, Pollen Street Social, pork chop, Princess Diana Memorial, scooters, Soho. Bookmark the permalink.